So this is it, Day 365. I will wrap up the project with a little summary soon but for now it seems fitting to finish with another monkey moment. 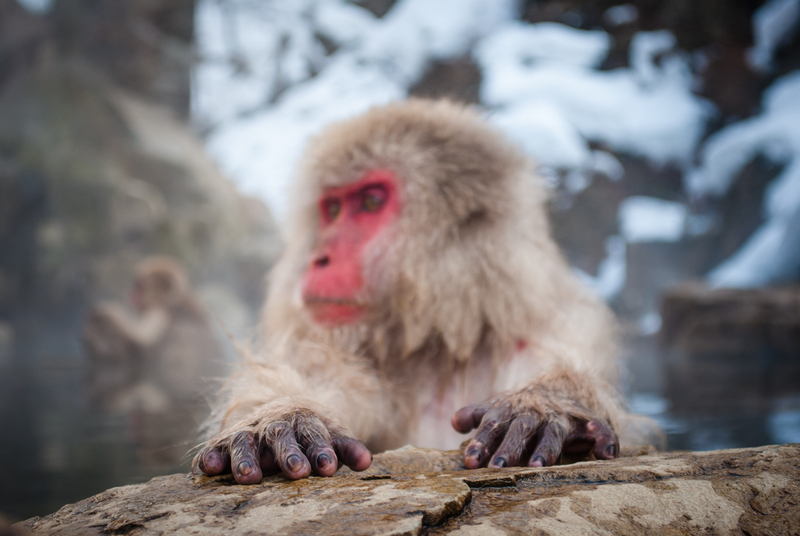 The red-faced monkeys from the Jigokudani Monkey Park have had a regular spot on this blog and have won me a few photography awards along the way – even making their way onto an album cover. They have also inspired the name for my new photography website – snowmonnkeyphotography.com. Take a look for my full travel portfolio. The monkey in the video below demonstrates where the phrase ‘cheeky monkey’ comes from. The primate pick-pocket was caught stealing YouTube user MocholilaoTV’s, GoPro – recording himself for ninety seconds before he managed to crack open the camera’s case and remove the battery. Eventually a temple at the worker managed to get the camera back, trading it for some bananas and the promise of police immunity. Did have a new project?